If we are to describe in one word South Africa that would surely be “Diversity”. The country has been lived for over 170,000 years and has become a border twined with a lot of cultures, civilizations, traditions and ideas. Expressions like Goeie dag or Totsiens would bring you closer to this country. Among the first interesting facts you can randomly discover is that there are 11 official languages, South Africa is the place where nuclear weapons aren’t used and where the first heart transplant took place in 1967. In terms of touristic flow, South Africa is becoming an increasingly visited country, with more than 3.5 million visitors, only in early 2017. Recognized as the capital of adventure tourism, South Africa has a multicolored culture, landscapes of striking beauty, growing vibrant cities, but also traditional rural areas that are enough to convince anyone to walk and discover this Cradle of Humankind. Unfortunately, there were no diplomatic relationships between Romania and South Africa until 1990, but after this period, starting with 1991, official and formal connections were established through joint embassies. Soon after official protocol visits followed between these two countries: the Romanian president visited South Africa in 1993, occasion that allowed the signing of a Cooperation Agreement and the beginning of a strong bilateral relationship. Then, it was Romania’s turn to receive the visit of the South African Minister of Foreign Affairs (1990) and of his assistant’s and the visit of the South African Ministers of Public Order and Justice (1997). It is important to mention that whenever South Africa requested the help of Romania for some international matters, the answer was positive. The follow-up of this assistance is represented by the collaboration between the two states in international institutions and the mutual support for occupying available posts there. Nowadays, at a diplomatic level, Cape Town hosts the General Consulate of Romania and also, in Pretoria, the Embassy of Romania is represented by E.S. Mr. Marius Borănescu. The South African culture and identity are represented here in Romania by the Embassy of the Republic of South Africa through E.S. Mr. Jabu Ntsokolo Ishmael Mbalula. Because we have already mentioned this strong relationship between the two states, we took this opportunity to take an interview with E.S. Mr. Jabu Ntsokolo Ishmael Mbalula, who was kind enough to present us the South African cultural symbols, but also the cultural uniqueness of the country, in the light of its participation in World Experience Festival, in early autumn. 1. 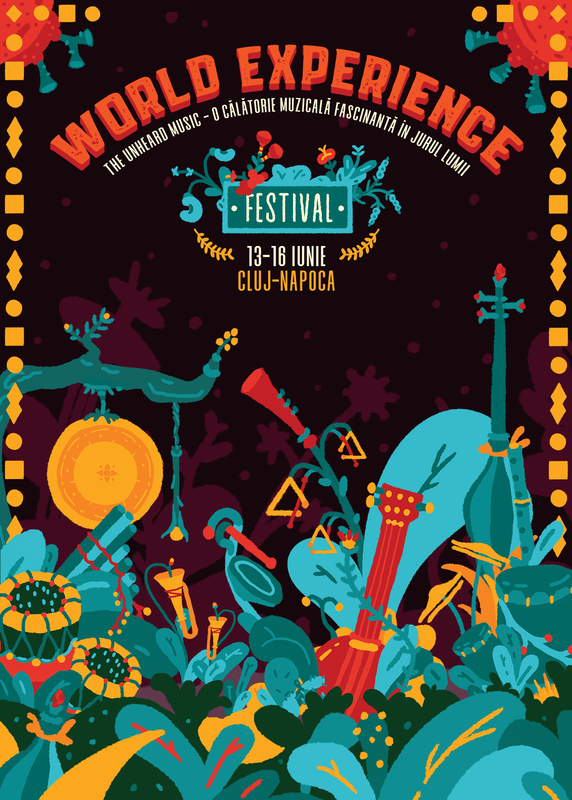 Can you make us a brief review of the South Africa’s cultural agenda in Romania? It is a very exciting and interesting time for me personally. Secondly, it is at the same time an exciting start period for the Embassy of South Africa in Bucharest, because, looking back in history, South Africans and the South African Government (my country) have shared many common positions and forums with Romanians on specific issues, many have been attending courses at University here in Romania, continuing to do so even now. But, from a cultural point of view, I must say that the Government of South Africa has a dedicated mission to the issue of culture, broadly seen, because we understand the added value that arts and culture bring to our programs of nation building and social cohesion in the country. 2. From your perspective, what are the national symbols that truly define South Africa? 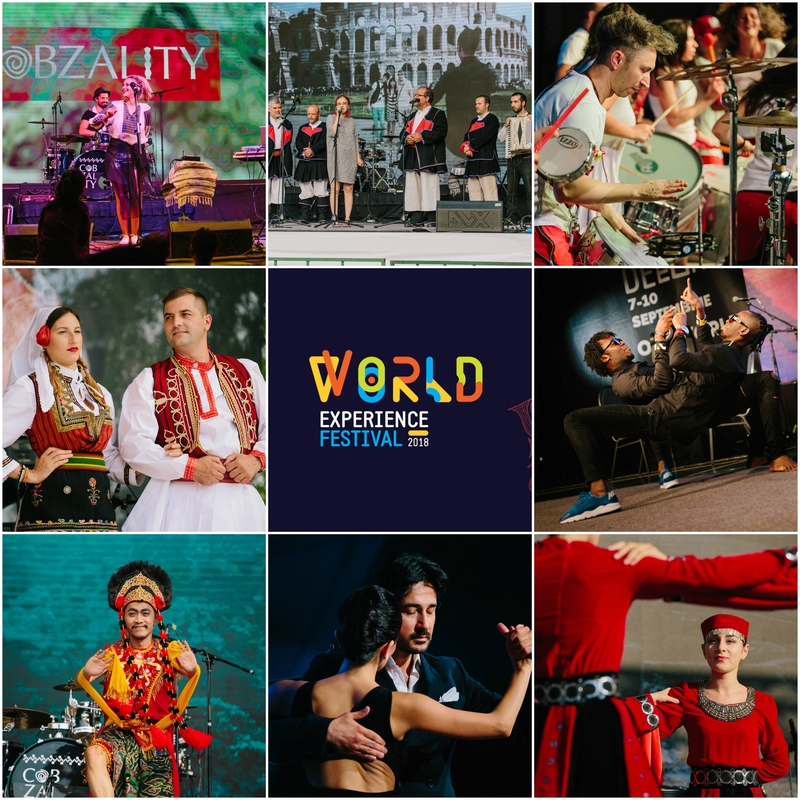 I have observed that there are quite striking similarities between South Africa and Romania, rhythms of music, vibrant colors, even the traditional dances at which I recently witnessed in Transylvania. South Africans are also known for being very free in expressing themselves at an artistic level, like traditional dances, that represent a prominent feature of our culture. We celebrate and embrace our diversity through dances; we find oneness and humanness through them. We had more national anthems in the past, that were sung in the country, but now they have been united into one national anthem, which is sung in more than one language, by everybody in South Africa. It is one of the most outstanding aspects for me. The second element, which has also become a national symbol, through which South Africa identifies itself, because of its historical significance, is the Robben Island, where Nelson Mandela and his colleagues were imprisoned for 27 years. This island represents todays the ambition of South African to pursue what they stand for. We also have the archaeological site called Cradle of Human Kind, about 50km North-West from Johannesburg; it has been declared Heritage Site by UNESCO in 1999, it is also an important symbol for me. The second one is represented by the Freedom Park, situated in Pretoria, a site built by the country’s authorities, where South Africans can go to visit it, but, in the same time, to gain strength when they face any difficulty of any nature. The Freedom Park is a memorial that represents all South Africans that died during the Two World Wars, but also in the apartheid struggle. 3. 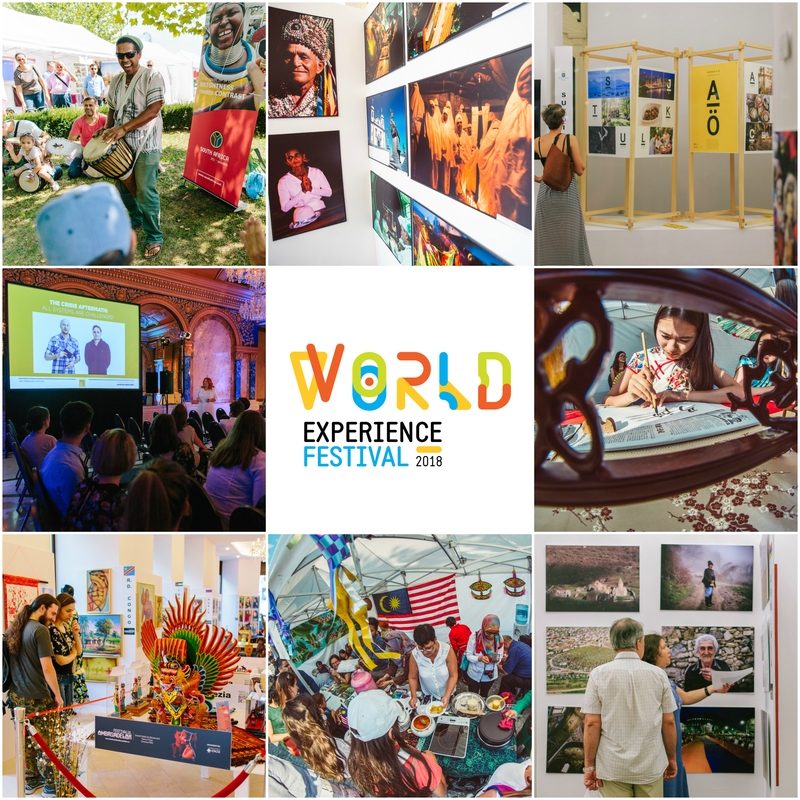 What role do you think World Experience Festival plays on the cultural scene in Romania? It is certainly a very important effort, I personally think that it is something that must be supported, because it gives us the opportunity to try to understand each other, across religion lines, social class, gender and discover our oneness and our humanness at the end of the day. But I think that it also helps the countries that are represented in Romania by Embassies to have a platform for multicultural exchanges. 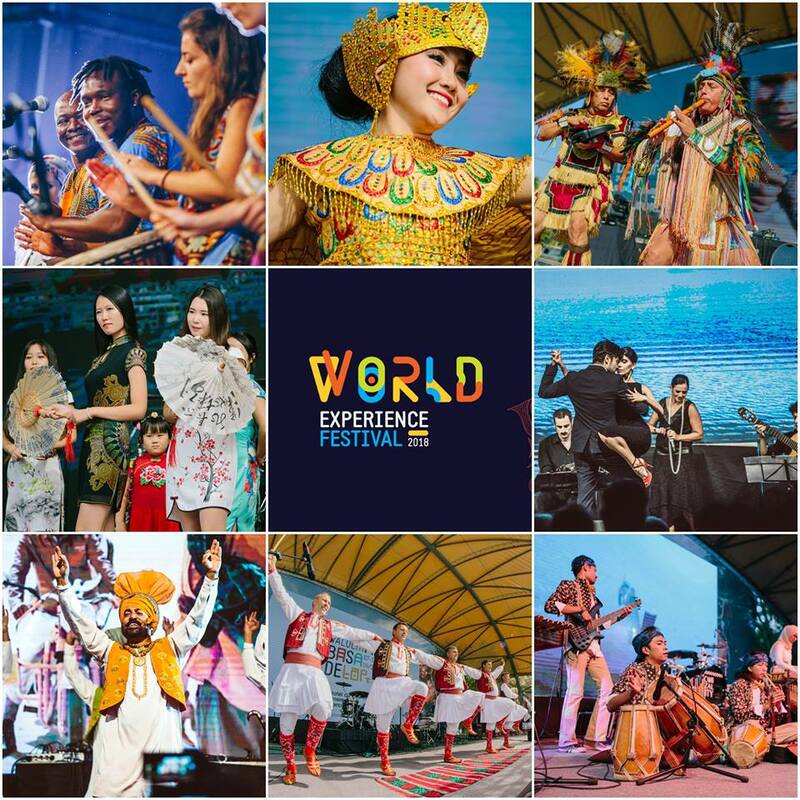 We should be open to present ourselves from a cultural point of view, who are we also and how we celebrate it, through dance, language, artifacts and a large variety of things that are part of the cultural space. It is also a tool for me, through which we can communicate with each other, without using language, just through a simple appreciation of what we are as human beings in order to discover ourselves. What we say in South Africa, our fundamental philosophy and one of the values, is called Ubuntu, which means “You are because I am, I am because you are”, but also represents the spirit of solidarity, the idea of togetherness and of appreciating each other. There are people who are not interested in politics, in doing business or in any other form of human activity, but who are interested in using their imagination through painting, dance, music, what they wear, this is what culture represents for them. These things can initiate much better the relations between various nations of the world, between South Africa in particular and Romania. Arts and culture have always been linked to music and the South African music has that trace of exotic, vibrant rhythm that makes it special to everyone. From the classical rhythms of jazz to the variety of folk and jive styles, South Africa offers a large palette of musical genres and subgenres. Maybe for the majority of people the most representative part of the South African palette is the Kwaito genre, a symbol of the specific culture and parties. This genre arose in the 1990s and was seen as a genre of the mixed culture, thanks to the cultural borrowings from the British and American culture. A special case is represented by the cultural variety of the Zulu tribe, which considers music and dance representatives for art. The traditional costume of this type of dance is actually how we picture when we think of South Africa – skirts made of grass or of dry cotton, hand-made jewelry, bandanas for me and the songs accompanied by the sound of drums. There are a lot of foreign influences along the country, including Dutch, Lusitanian and British that build up the charm of this land through the unique combination of traditions and cultures. An interesting example would be Cape Town, a place where the classical jazz is combined with the local rhythms and becomes a new and innovative musical genre, enjoyed both by locals and tourists. Would you like to find out more about the South African cuisine? You would be overwhelmed by this type of food, such as Boerewors or Malva pudding. The South African cuisine varies, grace to a lot of foreign flavors and influences, combined with the local savor and with the passion to assert, even through food, some sort of form of ‘’Batho Pele’’. This island with Dutch name – ‘’isolated island’’ is the place that gave us three of the greatest South African rulers: the famous Nelson Mandela, Kgalema Motlanthe and Jacob Zume, but also the south cradle of international peace. Situated just 6,9 kilometers away from Cape Town, the Robben Island is the home of a large variety of fauna and flora, but it is known for being a land of political oppression during the 17th and 20th century. The historical image provided by this island demonstrates both the triumph of peace and the extinction of racism, but also the symbols of oneness, hope and international acceptance of each other. Situated 50 kilometers from the vibrant Johannesburg and totally opposite with the fast rhythm of the city, the Cradle of Humankind is an archaeological site where are many chalk caves, including the Sterkfontain cave, where were found human fossils dating back as far as 3,5 million years ago. Their discovery, but also the development and promotion of the area represent first of all the appreciation for humanity and its construction, but also the recognition of South Africa’s miscellaneous and cultural richness. This area is situated at the border of the country with Botswana and Namibia and is associated with the nomad tribes that used to populate this zone some time ago. Recently added on the UNESCO World Heritage List, in 2017, the area is a tribute to the past of the entire African land. Among the most important features of the tribe that is still living here are the relation with nature and the power of adaptation to the weather conditions from the area. Alongside with the mentioned sites we can also name the Mapungubwe Cultural Landscapde, Maloti-Drakensberg Park or Richtersveld Cultural and Regional Landscape, all part of the UNESCO World Heritage. South Africa has represented an exotic and attractive destination for all the world’s powers dating back to old times, due to its natural and cultural diversification and lately a dream place for unforgettable holidays. No matter whether you choose an adventurous safari in Kruger National Park or a swimming experience with the big white sharks, whether you spend some time in the vibrant Johannesburg or to sip from a glass of South African wine in Cape Town while listening to jazz, South Africa is an opportunity for all of us to witness the becoming of an effervescent, creative and rich culture that has truly something to say on the world scene.